On June 14, 2016, Jared Yates Sexton reported from a Donald Trump rally in Greensboro, North Carolina. One of the first journalists to attend these rallies and give mainstream readers an idea of the raw anger that occurred there, Sexton found himself in the center of a maelstrom. Following a series of tweets that saw his observations viewed well over a million times, his reporting was soon featured in the Washington Post, NPR, Bloomberg, and Mother Jones, and he would go on to write two pieces for the New York Times. Sexton gained over eighteen thousand followers on Twitter in a matter of days, and received online harassment, campaigns to get him fired from his university professorship, and death threats that changed his life forever. 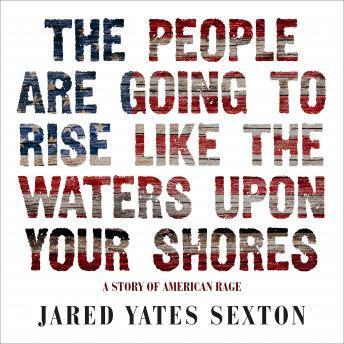 The People Are Going to Rise Like the Waters Upon Your Shore is a firsthand account of the events that shaped the 2016 Presidential Election and the cultural forces that powered Donald Trump into the White House. Featuring in-the-field reports as well as deep analysis, Sexton's book is not just the story of the most unexpected and divisive election in modern political history. It is also a sobering chronicle of our democracy's political polarization-a result of our self-constructed, technologically-assisted echo chambers.